Animal Kingdom is the biggest theme park at Walt Disney World. Yes, that’s right it’s the biggest. Did you know that the Magic Kingdom could fit inside Kilimanjaro Safari? 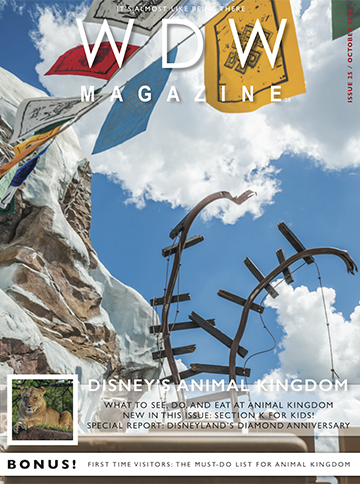 So it’s pretty appropriate that the Animal Kingdom issue of WDW Magazine is our biggest monthly issue so far. So, let’s get this big issue started. In our Features Section this month we take a look at the Evolution of Animal Kingdom. See how it’s grown and changed through the years. After that we take a look at What to Do, What to See, What to Eat and the Characters at Animal Kingdom. This month we have really expanded our Helping Hands Section. Dave kicks things off with the “Must Do’s” at Animal Kingdom. Danny talks about managing diabetes at Walt Disney World. Kathleen helps us slow down and enjoy the Wilderness Explorers. New this month is our Scrooge vs. Splurge article where we talk about whether or not to go on the Wild Africa Trek. Finally we debut a runDisney column. We are really excited to introduce Section K in this issue. Section K is a special place for the kids to hang out. 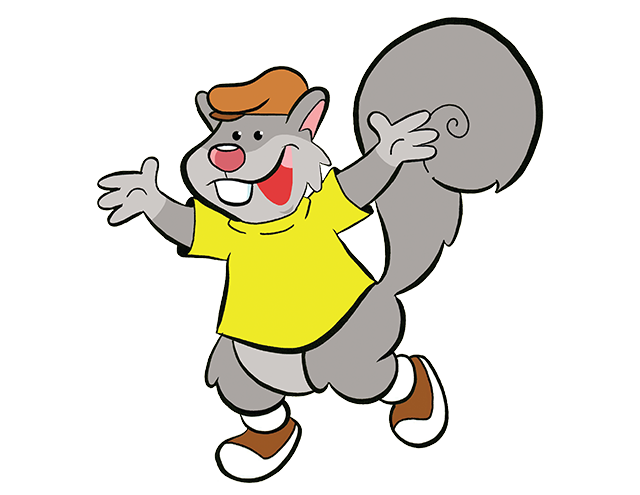 In Section K this month we have some activities, coloring pages, the first of our video series “For the love of Walt Disney – A to Z” and we introduce you to our new mascot and ask you to help name the cute little guy. The Best of WDW is just fun this month. We start out with a look at Kilimanjaro Safari, which is one of the best attractions at WDW. Next we look at the Animal Kingdom Lodge Villas. Tusker House is our restaurant of the month and the Zawadi Marketplace is the Gift Shop. We’re not done yet by a long shot. The FanZone is packed. Literally. It kicks off with part 1 of a Blockbuster interview with Jeffrey Sherman, son of Bob Sherman of the Sherman Brothers. Wow, what a ride. After that we interview Danny and Cliff a couple of our great team. Laura talks about dressing up at WDW, we have our Photo Contest, Question of the Month, our Vinylmation report from Greg and a very special interview with a Castle Suite Winner. How cool is that? Several of our team got to visit Disneyland during the Diamond Anniversary Celebration and we thought it would be fun to do a special insert this month with a report. Don’t stop yet. There’s still lots more in our Around the World section. We have The News, some History and a really cool Did You Know. Also, there’s a Throwdown between Dinosaur at Walt Disney World and Indiana Jones at Disneyland and finally Halloween aboard the Disney Cruise Line. We think you’re going to love this month’s issue. What are you waiting for?